Call us for boxelder bug control to protect your property and prevent these bugs from invading and swarming in your home. 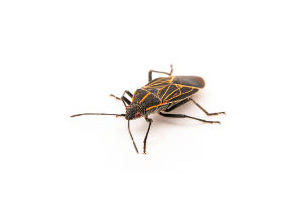 Boxelder bugs can get inside your home due to cracks in caulk or seals around windows and doors. We can perform effective boxelder bug control and keep the infestation from taking over your property and home. Calling our professional boxelder bug extermination team can ensure that successful boxelder bug control takes place and that your home and property are boxelder bug free.